We live in a society that’s obsessed with people’s weight and body shapes. But what exactly is diet culture, and what can we do to kick it? According to anti-diet nutritionist Christy Harrison, diet culture refers to a set of beliefs that value thinness, and reject people who don’t fit this body type. These beliefs focus on body image rather than actual health. Even if you’re not personally on a diet, you may buy into some of these beliefs, and shame those who reject diet culture.  It wrongly assumes that being thin is healthy and being fat is unhealthy. In reality, it’s way more complex than this. That’s because bodies are diverse, and not everyone’s body is healthiest when it’s super thin.  Diet culture also encourages weight loss as a means of “improving” yourself, regardless of whether the way you lose weight is healthy or not.  It criticises certain foods as “bad”, while others are “good”. This may make you feel ashamed when you eat certain foods that are deemed “bad”.  Finally, it discriminates against people that don’t match up to this narrow idea of “health,” and shames people who are not thin. This tends to be women, people with bigger bodies, people of colour, and people with disabilities. This is incredibly harmful to both their mental and physical health. Who Benefits from Diet Culture? Well, it’s certainly not us. Corporations make money based on us feeling bad about our bodies. In 2016, the global weight loss industry made approximately $279 billion, which is around £214 billion. 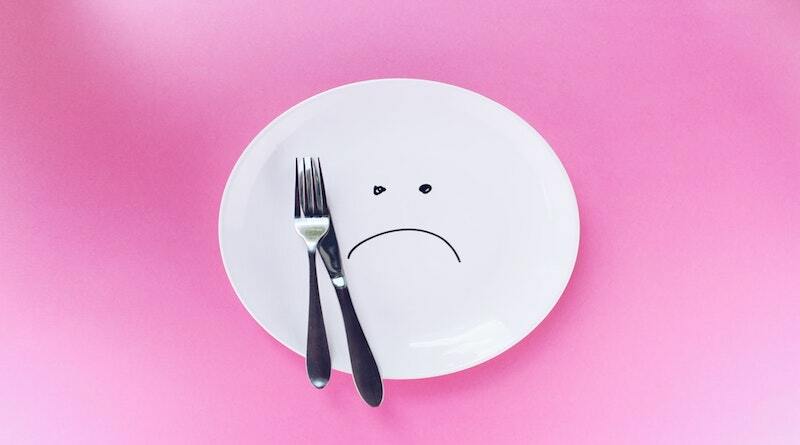 We’re told that if only we try this new diet, or this new weight loss pill, we’ll get to our dream weight and be thinner, healthier, and happier – right? In reality, we never get to that place, because there’s always a new product or we’re still “not thin enough”. And we’re definitely not happier – just more obsessed with our weight and body. Okay, so what is “Wellness”? Surely the wellness movement focuses on health? Wrong. Companies are now rebranding from ‘weight loss’ to ‘wellness’. But it’s still promoting thinness over actual health. You may have heard of “clean eating”, “cleanses”, “superfoods”, “flushing away toxins”, and “detoxes” as a way to be healthy. In reality, you’re still restricting what you eat, and so you’re still on a diet. And these diets still demonise certain foods and shame people who eat these foods, while glorifying people who eat all the superfoods. How Do We Challenge Diet Culture? Not only is diet culture damaging, it also consumes a huge amount of our time. Remember, your life’s purpose is not to lose weight. You’re here to enjoy your life. So take back your life. One way you can do this is through intuitive eating. You listen to what your body needs and ignore diet culture rules of what food you can and can’t eat. Through this you can learn to develop a more positive relationship with food. Following anti-diet social media influencers, dietitians, and doctors can also be super helpful to challenge diet culture and fat shaming. Some of my faves include Christy Harrison, Megan Jayne Crabbe, Joshua Wolrich, Krista Murias, and Jameela Jamil.